More than ever, operators, suppliers, contractors and drilling companies alike are aware of the need for and value of comprehensive sets of standards that provide greater consistency of safe practices worldwide with industry leaders, represented by the ‘International Association of Oil & Gas Producers’ (IOGP) identifying a prize of $60 billion for the global oil and gas industry from collaboration and standardization. The World Economic Forum reports that the lack of standardisation is not only responsible for major budget blowouts but also significant schedule delays with 75 per cent of large exploration and production projects between 2010 and 2014 exceeding their budget by 50 per cent on average and half of these projects exceeding their schedule by almost 40 per cent. According to Partha Dev, head of structural engineering at ROSEN Australia, efficiency can be achieved by removing the bespoke requirements in engineering and procurement specifications of different operators, which only breeds waste and cost inefficiencies that can be ill afforded in the present cost challenged environment. “Australia is on the cusp of becoming the world’s biggest exporter of Liquefied Natural Gas (LNG) in 2019 as it sees the final portfolio of significant capital LNG projects going online this year. This is a perfect platform for Australia to play a greater role globally and help in evolving the energy industry in the digital era, by actively collaborating with the global community,” said Mr Dev. In 2017, NERA, as part of the global standardisation initiative being pursued through the International Oil and Gas Producers Association, successfully delivered a project to elevate Australia to full participating member status of the International Standards Organisation’s Technical Committee for oil and gas, petrochemicals and energy. Australia’s participation is coordinated through Standards Australia’s committee that also oversees several working groups progressing specific initiatives to enhance Australia’s competitiveness. “The first Australian sub-committee for Offshore Structures was born and mirrored to its corresponding ISO body,” said Mr Dev who chairs the sub-committee. Within a year of its formation, the sub-committee has managed to bring together over 50 experts that represent over 1,500 years of collective experience from operators, service providers, regulatory bodies and universities across Australia who form a ‘Community of Practice’ of Thought Leaders, with its own voice in the international community. To culminate a year that saw fostering of connections with the international standards community, in November 2018, Australia successfully hosted the annual plenary gathering of the international ISO Standards committee and the Standards Showcase. 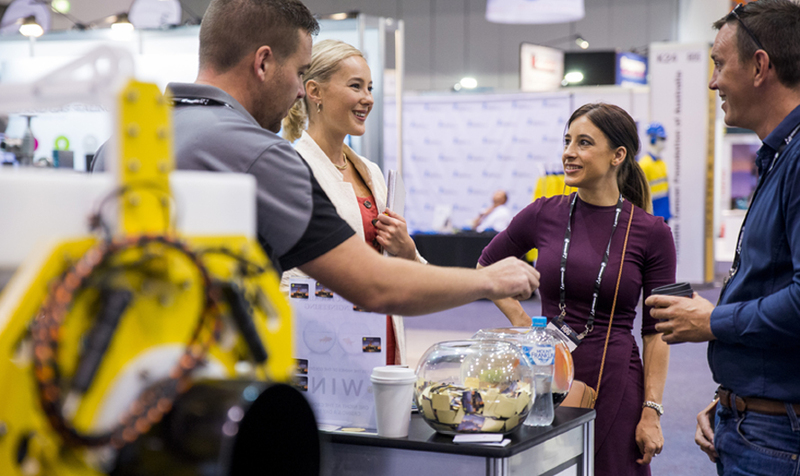 The event saw more than 200 delegates from over 16 countries, representing the global oil and gas standards community jointly celebrating Australia’s role in in the standardisation initiatives. While Mr Dev is optimistic that these standardisation initiatives will bring about efficiency gains, he admits that the oil and gas industry may face challenges implementing them due to premature retirements in the recent cost-challenged times and lack of graduates coming through the door. “These challenges can create an unbridgeable gap in the knowledge and experience bank in our sector, it can also seriously erode our ability to tackle the futuristic challenges thrown at us by a digital era of disruption. “One way to buck this trend is for the industry to invest in an initiative to bring back the greying resource pool to team up with the millennials in a ‘reverse mentoring’ model. This will allow us to combine the wisdom of the ‘past’ with the disruptive innovation skills of the ‘present’ youth, to secure the ‘future’ of the oil and gas sector,” said Mr Dev.